Early Years Scotland is one of a number of organisations to support Aberdeen City Council’s decision to remove hundreds of ‘No Ball Games’ signs from outdoor areas across the city. The difference that graduates of childhood practice are making to the lives of children and their families is being celebrated at a national conference in Edinburgh today (Thursday 27 August). 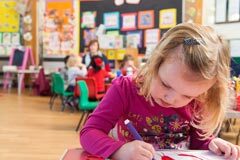 Improving lives with childhood practice is a one day event organised by the Scottish Social Services Council (SSSC). 'Drive less, live more' is the theme for this year's Road Safety Week, which will run between ​23-29 November. The Voluntary Action Fund (VAF) has announced the launch of the Scottish Government’s new Fairer Scotland Engagement Fund. The aim of the fund is to help small voluntary organisations and community groups in Scotland run an event or engagement activity to gather views on how we can create a Fairer Scotland. The Scottish Government’s Commission on Widening Access, the body set-up to advise the Government on how to meet its ambition that every child born today has an equal chance of going to university by the time they leave school, is preparing to produce it's preliminary recommendations.